Local institutions in Calabria are working on providing 30 housing units to the new San Ferdinando tent camp, in order to gradually clear the camp. A migrant from Senegal died last week in a fire at the camp. Local institutions in Calabria are working on a plan to provide 30 short-to-medium-term housing units to gradually clear out the San Ferdinando tent camp, sources in the Italian interior ministry said. The move is coordinated by the Reggio Calabria prefect. The new units will host around 300 people. The goal is to evacuate the camp before the next migrant work season, which starts in September and October. The sources said the ministry is "attentively monitoring the situation." "The clearing of the shantytown on March 7 was a historic decision that intervened on a situation of degradation, inhumanity, and illegality that had gone on for too long. All migrants were guaranteed alternative housing." In recent days the ministry provided 350,000 euros in additional funding to the town of San Ferdinando. 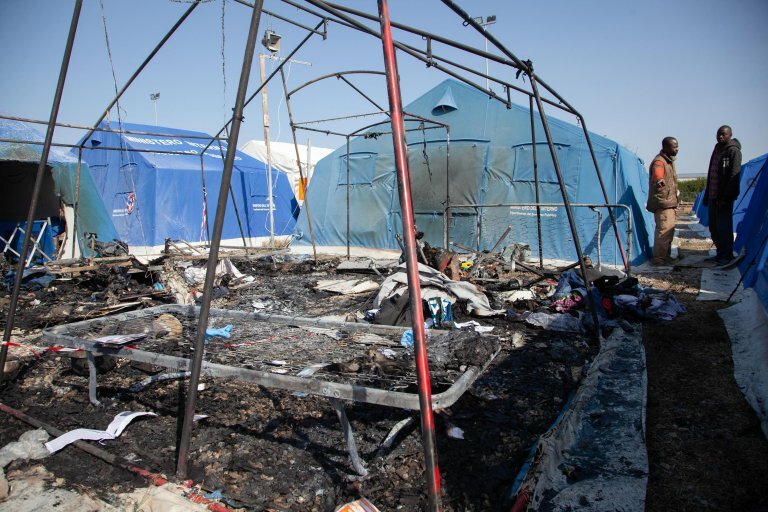 The ministry sources said, "the disgrace of the other night, when a person died in a fire, could have had more serious consequences had the tent camp not been under continuous surveillance. In view of the next work season, a plan is being drawn up to facilitate the arrival of people at worksites, without forcing them to search for precarious housing in the surrounding area. These projects show the iron will in giving a definitive and civil response to a situation of exploitation, illegality, and degradation that has dragged on for too many years." The causes and modalities regarding the death of Sylla Nouma, the 32-year-old Senegalese migrant who died in the fire at the new San Ferdinando tent camp at sunrise last Friday, are still unclear. Palmi public prosecutor Ottavio Sferlazza has ordered an expert opinion to ascertain the cause of the fire. However, he urged against jumping to conclusions over his decision. "The fact that an expert opinion was ordered obviously doesn't mean that we have elements that lead us to favor one hypothesis over another, regarding the cause of the fire. The expert opinion is only an expression of the power-duty on our part to ascertain the facts and eventual responsibility, in any capacity. What I want, essentially, is to clear the camp of any doubt, as far as possible," he said. The Palmi prosecutor's office has also ordered an autopsy on Sylla Nuoma's body. Sferlazza's decision is more significant when considering that it is the first time an expert opinion has been ordered over the death of a migrant at the San Ferdinando camp. In the three prior deaths, all of which took place at the previous San Ferdinando tent camp that was evacuated and torn down in recent weeks, no examinations of this type were ordered.